Subtle roof damage. Missing or damaged shingles, shingle flotsam in your gutters and rusted or missing roof flashing are all key indicators that the health of your roof is waning. Any roof more than 10-15 years old is a prime candidate for replacement. Double layering. A double-layered roof has a stack of shingles and other roofing material built directly on top of an older roof system. This is an inexpensive, albeit unprofessional, way to solve immediate roof issues. In the long term, however, the added weight and corroding material covered by the double layering can cause serious problems to your roof deck and the very structure of your home. Double-layered roofs should be replaced as soon as possible. You’re putting your house up for sale. A new roof can be a crucial selling point for homebuyers. On the other hand, an older roof can kill an otherwise done deal. Homebuyers do not want to invest in a new roof shortly after purchasing a new home; they often will, however, happily pay your asking price if they know the roof is rock-solid and carries a transferable warranty. Sellers can often recoup 100 percent of the roof replacement cost. Replace your roof before you sell your home. There’s no single answer to this question. The cost of roof replacement depends on the size of your roof, the materials you select and the ease or difficulty of installation, among other factors. To give you even a rough estimate without visiting your home, viewing the condition of your roof or understanding your specific wants and needs for your roof replacement would be, we believe, irresponsible. Having a conversation with all of the decision-makers in your household is an important component of the LONG process. If you would like to find out more about the cost of roof replacement and arrange a home visit, contact us today. How can I afford a new roof? Make no mistake — a roof replacement is a serious investment. Long Roofing™ offers a number of financing options if you do not have the cash on hand to pay for your new roof out of pocket. Long Roofing can provide you with competitive rates on loans up to $75,000. We work with you to create a payment plan that fits your family’s budget needs. Our paperwork is straightforward and easy to understand. Learn more about financing a roof replacement now. Long Roofing is the North American leader in 50-year SureStart PLUS® roofing warranties. The SureStart PLUS warranty applies to the Integrity Roof System® and provides coverage for 100 percent of future shingle or labor costs, offers non-prorated coverage throughout the protection period and is transferable to a new homeowner. The cost of a window replacement project depends on several factors, including the number of windows in your home, the size of your windows, the type of window and window frame materials you choose, features like locking systems, screens and tinting and other variables, as well. We cannot give ballpark estimates over the phone or online; visiting your home, understanding your unique needs and having a conversation with all of the decision-makers in your household are important parts of the LONG process. If you would like to find out more about the cost of window replacement and arrange a home visit, contact us today. Will new windows cut my energy bills? Beware of any guarantees that new windows will definitively cut your home heating and cooling bills because other factors can affect your family’s energy usage. Do you have roofing issues? Do you need new doors? Does your home have insulation problems? These factors, and several others, all work together in determining your home’s overall energy efficiency. We can tell you this: when you work with Long Windows® as part of your overall effort to reduce home energy costs, you’re on the right track. Our Quantum2 Heat Mirror windows provide industry-leading insulation, solar heat reduction, air leakage prevention, natural light allowance, UV light protection and condensation resistance. Heat mirror windows consistently outperform single-, double- and even triple-pane windows in terms of energy efficiency ratings. Heat Mirror windows are also certified by ENERGY STAR and the U.S. Green Building Council. Learn more about the benefits of window replacement from Long Windows. Is there really a difference between types of windows? The R-value of a window measures thermal insulation capability. The higher the number, the better. Typical double-pane windows have an R-value of 2.0. Our Heat Mirror windows have an R-value as high as 7.1. The U-factor of a window measures energy loss. The lower the number, the better. Typical double-pane windows have a U-factor of 0.49. Our Heat Mirror windows have a U-factor as low as 0.14. The solar heat gain coefficient (SHGC) of a window measures heat gain, or the blockage of solar heat entering your house. The lower the number, the better. Typical double-pane windows have an SHRC value of 0.86. Our Heat Mirror windows have an SHRC value as low as 0.24. UV transmission measures how much ultraviolet light is allowed into your home. Ultraviolet light can cause health issues, fade furniture, damage artwork and ruin carpets. Our Heat Mirror windows block 99.7 percent of UV transmission. Learn more about the benefits of window replacement from Long Windows. A no-nonsense lifetime warranty. If you experience any labor or product issues with your Long Windows, we will make the situation right because we believe in 100% customer satisfaction. Learn more about our warranty program now. Is siding my house worth the investment? 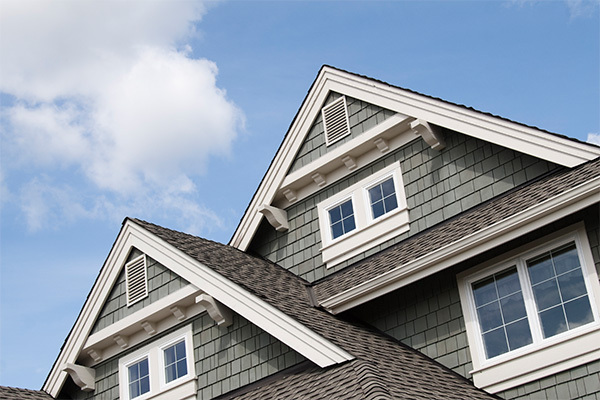 Adding vinyl siding can improve your home’s ability to retain heat. As much as 25 percent of home heating can be lost through under-insulated walls. Long Siding® is easy to maintain, looks great for decades and can withstand extreme weather, pests, peeling, cracking, contraction and impact. Long Siding also comes in a wide variety of colors and shades. Learn more about the benefits of Long Siding. Contact us today. How much flexibility do I have in choosing the look of my siding? You have significant flexibility. We offer residential siding in over 100 colors and shades like Colonial White, Natural Clay, Sandstone Beige, Sterling Gray, Autumn Red and many others. If you experience any labor or product issues with Long Siding’s residential vinyl siding work, we will make the situation right because we believe in 100% customer satisfaction. Our warranty stands for the life of your home. Learn more about our warranty program now. Will a new door cut my heating and cooling bills? No one can guarantee that a new door will unequivocally cut your home energy costs. Several other factors, like home insulation, window leakage and roof condition can have a major impact on home heating and cooling. Long Doors® has earned the ENERGY STAR® Sustained Excellence Award for 10 consecutive years. This prestigious award is given to “organizations who have consistently earned Partner of the Year for several years in a row (and whose) annual achievements must continue to surpass those in previous years,” according to to energystar.gov. When you work with Long Doors as part of your overall effort to reduce home energy costs, you’re moving in the right direction. Do you customize doors for every customer? Yes. Long Doors can help improve the value of your home, enhance the appearance of your residence and improve energy efficiency. Our doors are expertly produced in a stunning array of designs, colors and materials that look great and help keep your home safe. Quality door construction is a true point of pride at Long Doors. Our residential exterior doors are individually customized to the highest standards of durability, security and energy efficiency. We use only the highest-quality materials, ensuring your door will last a lifetime. Does a new door make my house safer? Yes. A surprisingly large percentage of residential break-ins occur when intruders enter through the front door. A replacement door from Long Doors provides added security for you and your family. Our certified, experienced technicians make sure your custom door replacement is installed perfectly, allowing for ease of use while bolstering your home’s ability to prevent intrusion. Please follow all home safety precautions — no single product can completely solve your home security needs. Long Doors, however, will work with you to make sure your new door provides as much protection as possible. A lifetime, no-nonsense warranty. If you experience any labor or product issues with your replacement door from Long Doors, we will make the situation right because we believe in 100% customer satisfaction. Learn more about our warranty program now. No problem — use the form below to contact us and we will get you an answer soon.